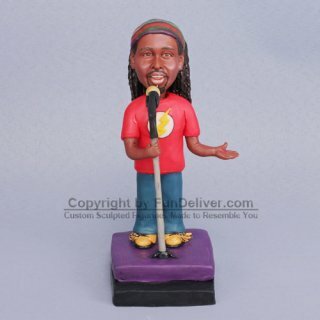 This is a completely customized Slam Poet cake topper / figurine ordered by one of our customers. It is a party gift for a poet. The man above is a Slam Poet. That means he performs poetry on stage. It looks something like a singer. The client would like him to be wearing the red "flash" t-shirt with blue jeans. On the back of the t-shirt, just below the hairline, write the initials: LKJ in gold letters. There is a red heart subtly drew in the palm of his left hand. 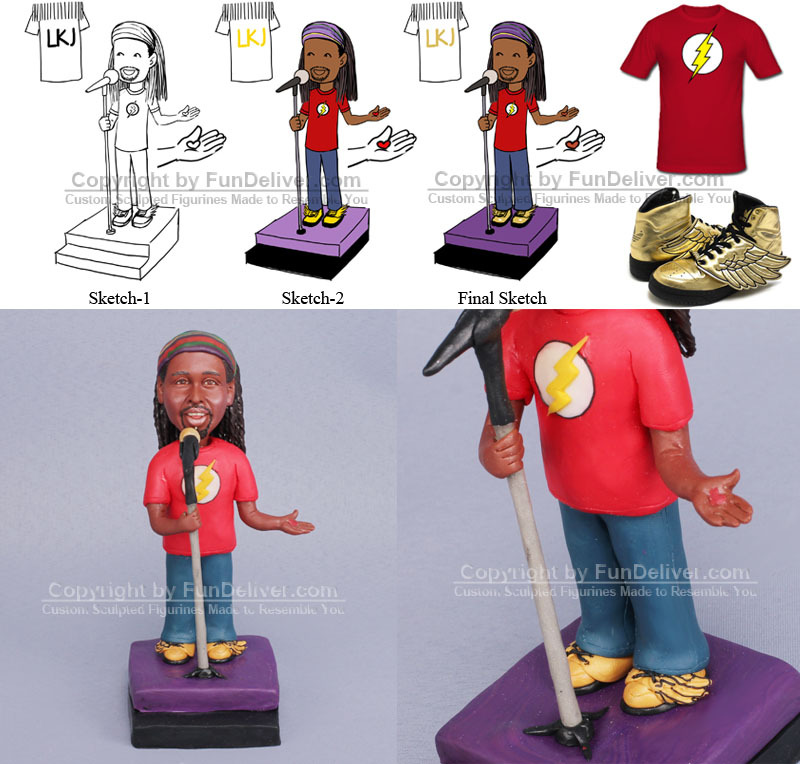 For the base the client would like him to be holding a microphone, standing on a square that is a dark purple and black. (Purple is his favorite color, but stages are typically black.) His shoe is quite special and important, the client would like his figurine to have the same golden shoes with wings.